A Bombardier CRJ700 for sale (new) has a list price of $35-$37 million dollars. Bombardier is currently selling the CRJ700 NextGen version of the aircraft. The list price is actually not the actual price of the regional jet. As usual, airlines, companies and purchasers of the CRJ700 are able to obtain a final price for a new CRJ700 that is much lower than the list price. 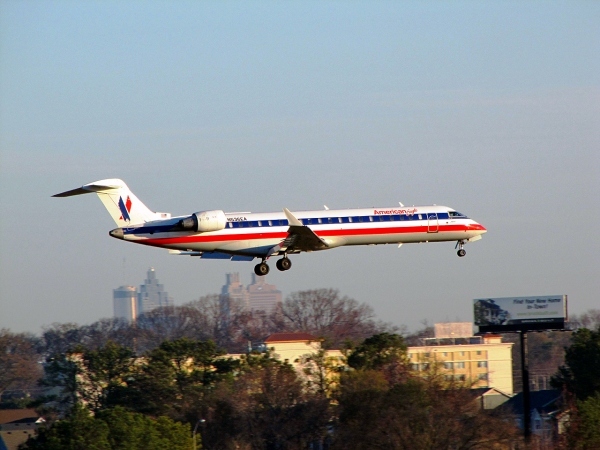 Bombardier sells the CRJ700 directly like all the major commercial aircraft manufacturers do. Used Bombardier CRJ700 jets for sale can be found from a variety of companies. As of January 19, 2016 there were not many CRJ700 jets that were listed as for sale. There are few CRJ700s that look to be stored and could be available. Also the price range of used CRJ700 jets was around $6.5 to $18 million dollars ($6,500,000 to $18,000,000). In the past on September 12, 2012 a Used Bombardier CRJ700 for sale was usually in the $20-$30 million dollar range. If you have a CRJ700 for sale, contact our aviation resources team to learn how you can post your CRJ700 on this page at no monetary cost. Above Bombardier CRJ700 For Sale Page Photo by redlegsfan21 on Flickr. Photo released under a Creative Commons License. A Bombardier CRJ700 for sale is also called a Canadair CRJ700 for sale, Canadair Regional Jet 700 for sale or a Bombardier CL-600-2C10 for sale. These names are the old name of the aircraft, the long name and the official model name.